Mobile friendly HTML email signature example. Links are NOT active in samples below. Each graphic in the examples below can be linked to your personal sites and pages! Each of these logos are available for HTML signatures! They are small for optimum viewing on device screens in signatures. Your marketing professional will contact you. Mobile functionality is subject to device and email service. If you need assistance with the final steps of setting up your account email signature on your device, please schedule an appointment with Clyde Gillam in the marketing department. 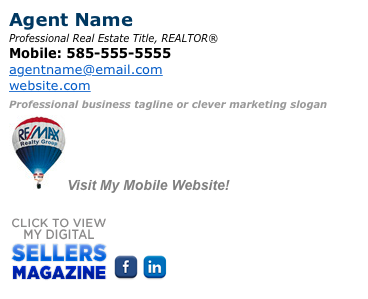 Add custom branding to your RE/MAX website and professional flair to your email signatures! 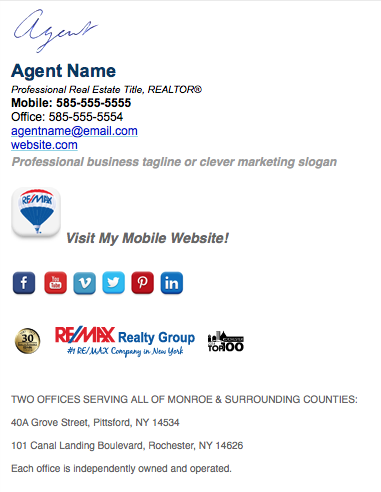 We have the ability to custom design web headers for your RE/MAX Realty Group website. This can help you stand out and add brand recognition to your business. A custom email signature is also an excellent way to reinforce your brand and give your messages added value! Each custom email signature can be linked to your website so the transition between pages is seamless. (roadrunner.com accounts do not support custom email signatures). Single image signatures are a great way to reinforce your brand! We can only embed 1 link with these signature styles, typically to your agent website. 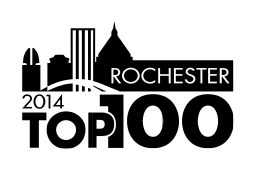 Since this is a custom graphic, your marketing professional will work with you directly on completing this signature.